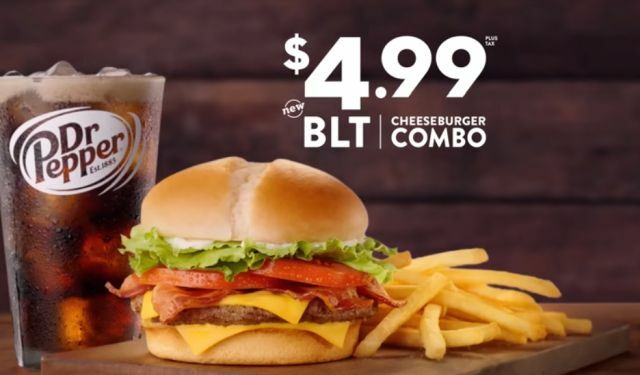 An updated "new" BLT Cheeseburger finds its way back on the Jack in the Box menu for a limited time and is featured in the $4.99 BLT Cheeseburger Combo. 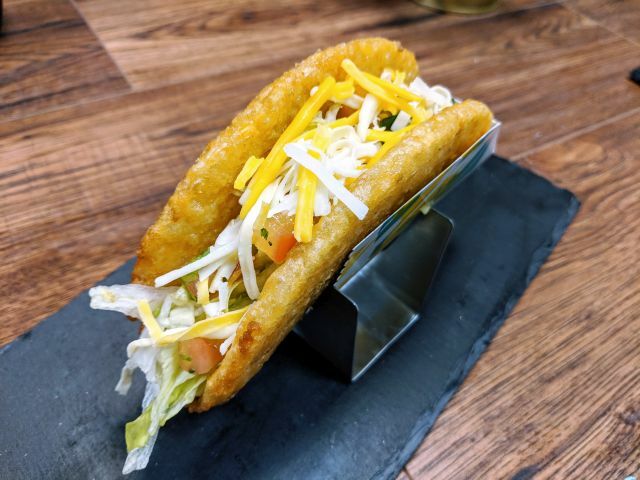 This time around the BLT Cheeseburger comes on the chain's bakery bun instead of a sesame seed bun like before. Beyond the bun (which is the same as for the Jumbo Jack and Bacon Ultimate Cheeseburger), the burger includes a grilled beef patty, hickory-smoked bacon, lettuce, tomato, American cheese, and mayo. The $4.99 combo also includes a small order of French fries and a drink.